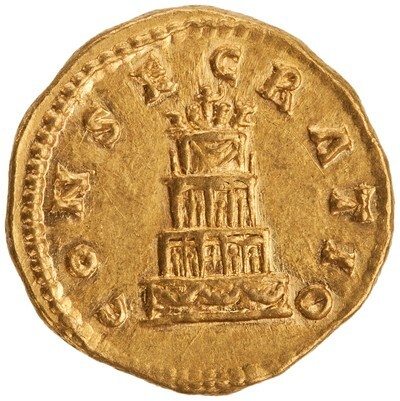 Reverse: CONSECRATIO, left to right round edge - Pyre in four tiers, decorated with garlands and statues; quadriga at top. 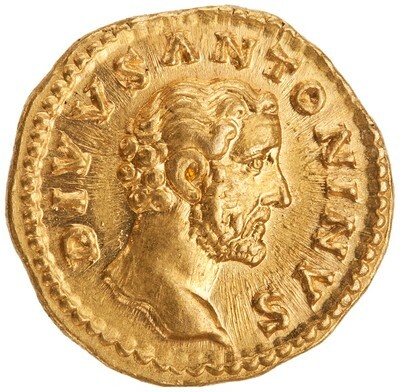 Note: Date of coin is uncertain. There is a question mark next to date in BMC.4, p.392. Coin is undated in RIC.3, p.247.